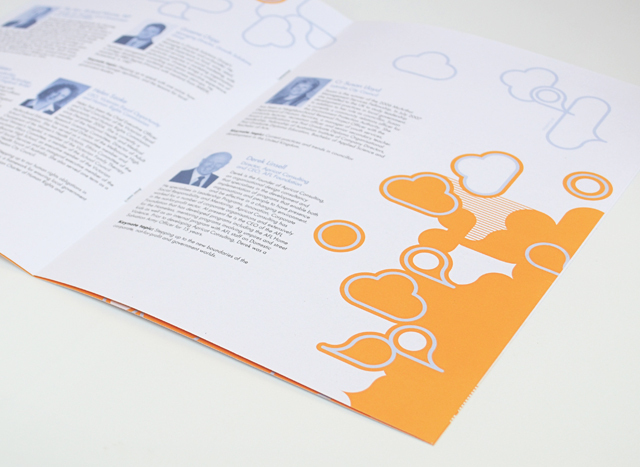 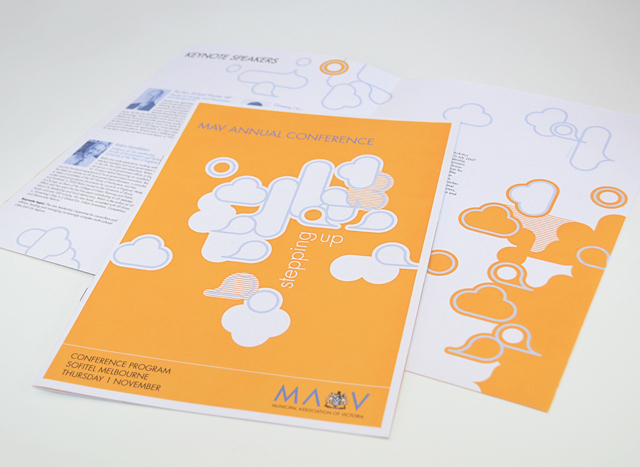 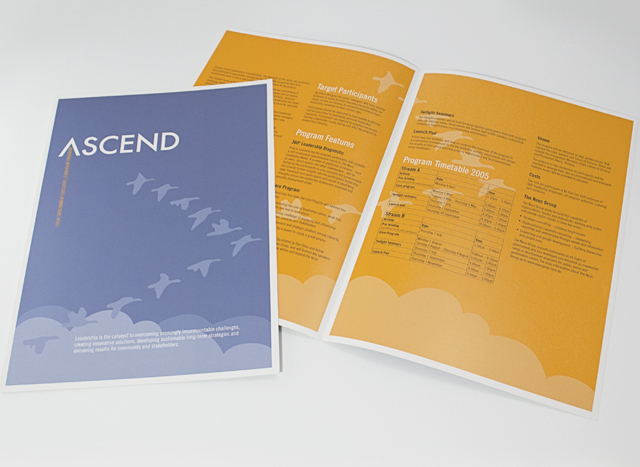 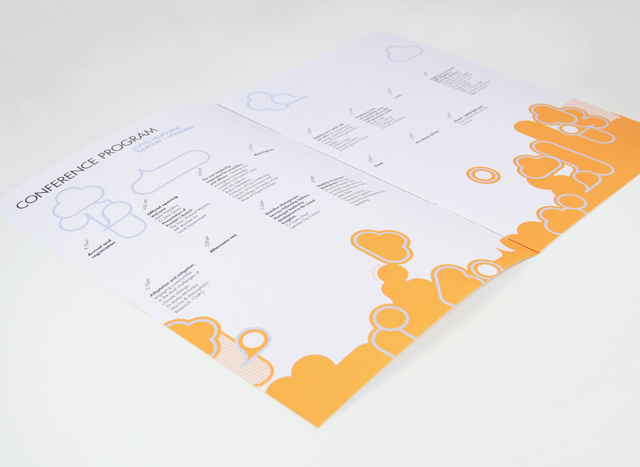 Use of two colours and bold graphics made a varied suite of printed material a unified group. 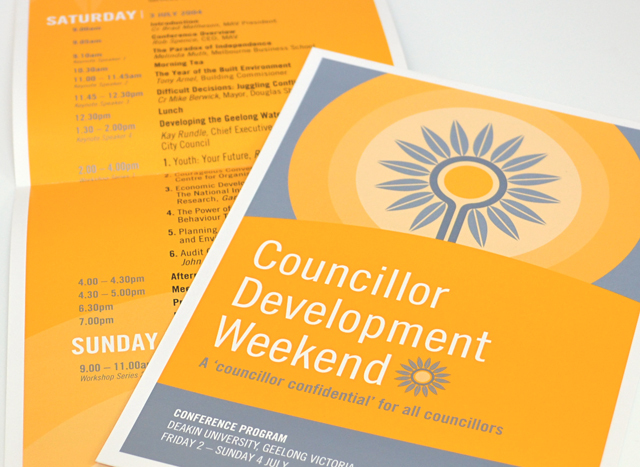 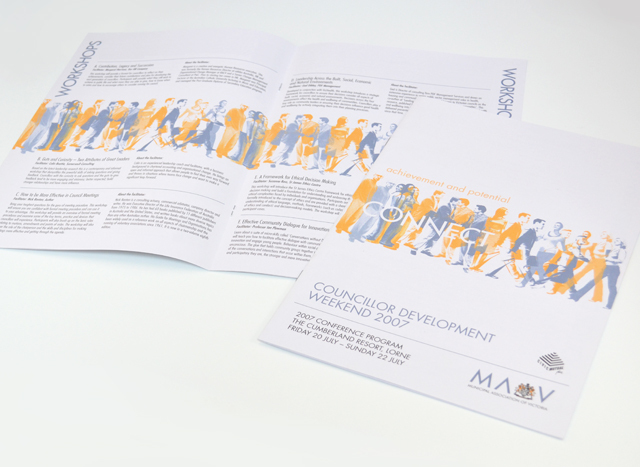 We created strong vector elements to inject interest in corporate collateral promoting professional development programs, conferences and initiatives. 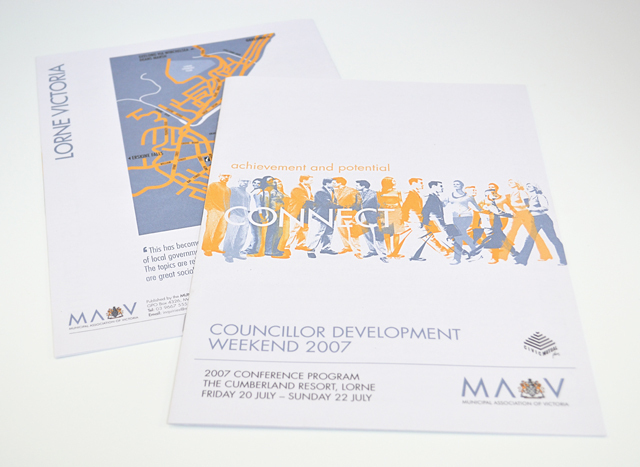 Concentrating on yellow and silver blue, this unusual approach to corporate communications took tight timing and scarce photographic resources out of the equation, creating an identity with a bold graphic language.